Do you still enjoy using your existing pageant binder? Not ready to try preparing for a pageant with the Ultimate Pageant Notebook? Try our pageant preparation system using this free companion to the Ultimate Pageant Notebook, called the Ultimate Pageant Binder. 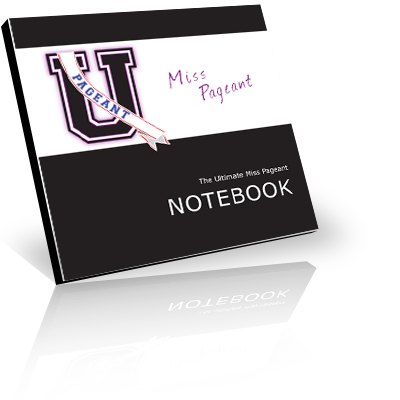 These free pageant binder worksheets can be integrated with your existing three-ring notebook to help you get organized and get ready to win a pageant!